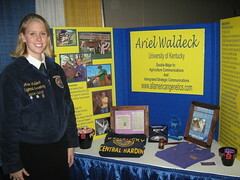 Rachael Arkfeld and Arbor Country Meats, 2009 FFA Agri-Entrepreneur. 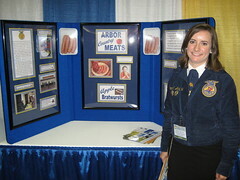 Rachael challenges the assumptions about what a bratwurst is and uniquely defines her product. BeefCast 0420 - What is re-energizing our cattle markets? Darrell Peel, Economist at Oklahoma State, provides his thoughts on what is re-energizing the cattle markets and will it be a sustainable trend or just a seasonal fad. BeefCast 0417 - Do packers have too much market power in the cattle industry? John Crespi, Agricultural Economist at Kansas State, researches how market power changes may be tied to the cattle cycle. BeefCast 0415 - Where are opportunities for premiums in the current business climate? Larry Corah, Certified Angus Beef Supply Development Division Vice President, provides his insights into the current business climate as it relates to high quality cattle. Additionally he offers a great opportunity for you to take part in the upcoming Feeding Quality Forums. 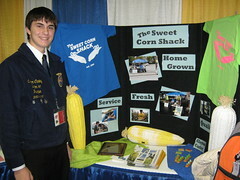 Take time to register today! BeefCast 0414 - What will 2010 mean for profitability in the cow-calf sector? Erica Rosa, Livestock Marketing Information Center, shares new analysis on the profitability of the cow-calf sector. What will 2010 hold? Also, what impact will the third round of the CWT dairy cattle buyout program have this year? Looking into the current cattle price differential in the North vs. the South, as well as changes in consumer demand for competing protein sources. 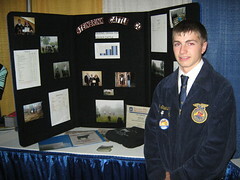 Dr. Darrell Mark, Livestock Economist at the University of Nebraska, expains.